When doing our family history, we think of our ancestors may be in the American Revolutionary War, the American Civil War, World War One or Two or Vietnam War but not too often is the War of 1812 considered. 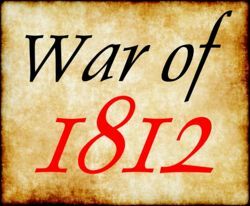 This was a conflict running from June 1812 to February 1815 between the United States and the United Kingdom (England). About 2,200 to 3,700 Americans were killed and over 7,000 wounded. Of a pension application could be submitted if the soldier / sailor was uninjured also. Of course, it takes place from 1812 to 1814, your ancestor would have to be in America then or could have served England (the American opposition). 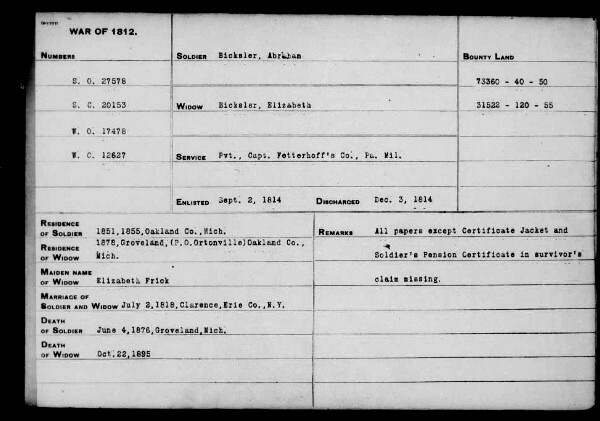 If so, then get a start using the FamilySearch Index of 1812 War pension application of the soldiers. There are 91,832 images for this index. Over 100,000 pension applications for the War of 1812 were submitted but not all approved. Just scanning over some of the indexes there is quite a bit of information. The soldier’s full name, the military service dates, which regiment they served, where they lived later on in the decades, their spouse and any death dates. Unfortunately, not all pension applications have all the details. You might just place a surname and then see female names in the search. Those would be widows applying for a pension. It can also be a spouse’s maiden name. 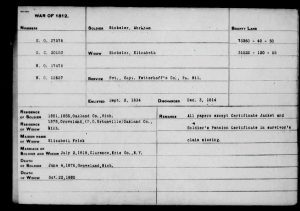 Do a search using a known female’s maiden name, she may have married an 1812 veteran. You can also enlarge to read the indexes and save to your computer. Photos: Abraham Bicksler served Sept. 1814 to Dec. 1814; Fighting involved battleships; and Battling between Americans and English.